Let’s start off with a brief look at lighthouse history. According to various sources, the first American version surfaced in Boston Harbor, Massachusetts sometime in the early 1700s. 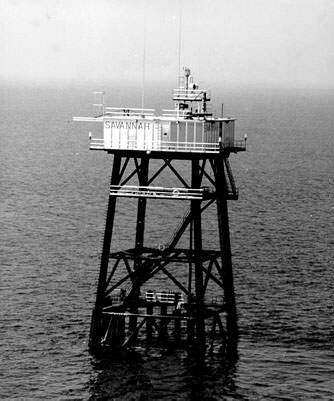 The original St. Simons’ Island Lighthouse surfaced much later. It was said to have been built in the early 1800s by a Massachusetts resident. However, his lighthouse didn’t last long. It was demolished during the Civil War and later rebuilt in the late 1800s. Today, St. Simons Islands property owners and visitors are able to visit the historic structure and enjoy tours. Some of the tours are self-guided. Others are guided and included as part of a larger St. Simons Island tour. Depending on the tour company involved, some of the guides may be persuaded to talk about the lighthouse’s alleged ghostly inhabitants. One of the lighthouse’s most famous features that all guides are likely to mention is its Fresnel lens. The Fresnel lens was a French invention that also appeared in the 1800s. Prior to that, many lighthouses were using other forms of lenses and searchlights. With that said, let’s move on to a glimpse of searchlight history. They initially appeared in the 1800s. The first one used two carbon rods to create light. As we alluded to previously, they were used by lighthouse keepers and the military. As time went on, searchlight technology was improved upon by many people including Elmer Sperry, Sr. and Thomas Edison. Eventually the carbon rods were replaced by electrical components. The improvements helped spur an increased use of searchlights in both sea and land military applications. Now that you know a little bit about their history, let’s talk about how to incorporate the items into your St. Simons Island property dï¿©cor. There are many quaint shops located in Coastal Georgia where you can purchase assorted lighthouse and searchlight themed decorations and furnishing. Any one of the items would undoubtedly make wonderful additions to your St. Simons’ Island property. For example, antique searchlights would look lovely placed near a window or alongside nautical furniture. Photos of lighthouses and lighthouse lamps would also look attractive in a St. Simons’ Island home’s living room or guest bedroom. To learn more about the area and interesting ways to decorate your property on st Simons Islands, contact us. We are well-versed in all this coastal Georgia community has to offer potential property owners. Our St. Simons Islands real estate agents may be reached by calling (800) 837-0406 or (912) 638-0406.